Whilst these posts are always a little weird to photograph because it’s such a random mix of items they are always my favourite to write as they feel like a conversation between friends. There are certain things that I either reach for daily or every few days and when I pick them up I always think to myself how grateful I am to have them in my life as they really do make it that much better. Which is why I wanted to share them in today’s post and of course, I want to know all about the items that do that for you in your life too. I’m sure that I’ve written before about how much I love my electric toothbrush before but honestly, it’s life changing. I became a convert back in 2013 I believe after being sure that I would never like one because I was so used to using a manual one. As soon as I got the hang of using an electric one, basically not feeling the urge to scrub at my teeth I noticed such a huge difference in how my mouth felt in general. My teeth felt so much cleaner and fresher and I noticed also my gums felt a lot better too, there isn’t a huge difference in terms of whiteness but I’m not overly concerned about that. 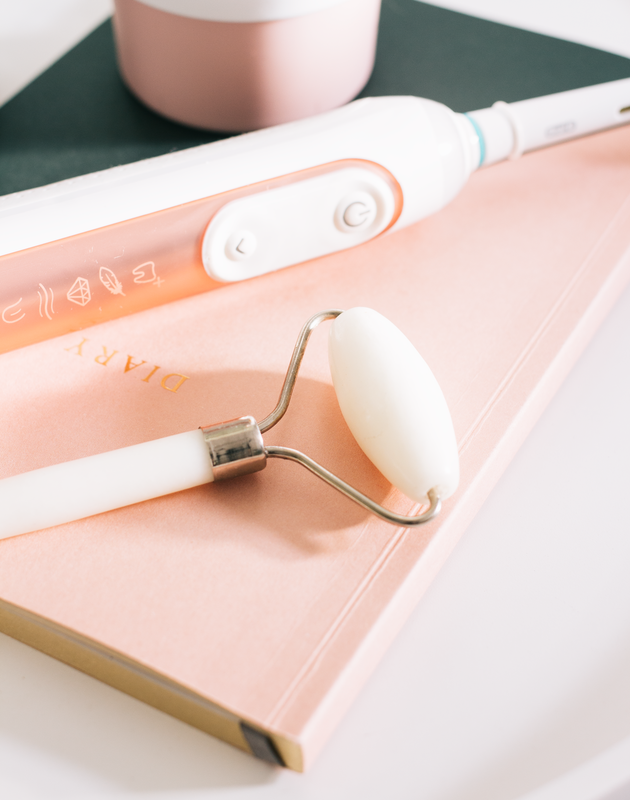 One of my favourite things about this toothbrush is that it lights up when you put too much pressure on your teeth, that has helped me so much as before I could be a little tough when brushing before. Things like this are an investment but they’re well worth it as it’s not something that you should have to replace that often at all in your lifetime. Obviously, the heads do need changing but I find I do that a lot less then I was changing my old plastic toothbrush and that’s probably because I’m brushing properly rather than applying far too much pressure on which makes the bristles splay out. I’ve been a big lover of reusable cups for years now, I’ve had my KeepCup which is something else I highly recommend since 2012 and it’s still as good as when I bought it. My best friend accidentally got bought two of these for Christmas so I purchased one from her as I’d seen so many people talk about them online. The only downside for me with reusable cups is that once you’re done with what’s inside then it can be quite bulky to carry around. But the wonderful thing about this is that it collapses down to just the size of the lid, the straw is removable and the stopper twists around so you don’t have to worry about any remnants of liquid getting in your bag which is something that always make me nervous when taking any liquids with me on the go. Although it’s great on the go I’ve mostly been using this at home as it’s actually making me drink water throughout the day which isn’t something that I’m very good at for some silly reason. Giving myself a little facial massage with this white jade roller is something that I’ve thoroughly enjoyed in the last few months. I always used to think that these facial rollers were a bit pointless, something that looked nice but didn’t actually do anything but they really do. Especially if they’re cold, if you struggle with any puffiness in the skin at all then I cannot recommend them enough. Obviously, it’s not one of those things that are a necessity in anyone’s routine but it’s something that I’ve loved using so much, the motion of using it is very therapeutic. I imagine if you used this in combination with some sort of sheet mask then it would feel even better! Something that I’m very conscious of is not washing my clothes a lot if they don’t really require it. I don’t get particularly dirty and I’m not that sweaty either but if I’ve been in a stinky environment then naturally my clothes will then smell. A wonderful invention that came into my life last year is Day 2 which gives your clothes the feeling and the smell of fresh out of the washer without having to actually wash your clothes. And because I’m on a mission to keep my clothes for much longer and take better care of them then this is a great way to do so. Especially if you’ve got really precious items that require dry cleaning only then this is such a life saver for them. As well as using this on my own clothes something I’ve also found this is particularly good for using on the dog's fleeces, something very niche I know but it’s been absolutely brilliant for them. They have a number of different formulations for denim and delicates as well as a travel size of the original formulation which is safe to take away on your travels. Typically I buy a diary that already has set dates in but something that I’ve absolutely loved is having something without set dates in it so I never feel pressured to fill it in where I’m not doing much just for the sake of not having a blank space. This diary from Katie Leamon is beautiful, it’s a soft cover which isn’t typically something that I love but I’m quite the convert. The paper is absolutely perfect, it’s nice and weighty which means you can use thicker pens and it doesn’t show through the other side. I realise this might not be something that everyone cares about but if you’re rather particular about how your diary looks like I am then it will be music to your ears. There is nothing worse then noting something down in your favourite pen only to see that it's transferred through to the other side making that impossible to write on. If you’ve never browsed the range of products from Katie Leamon before then I highly suggest having a browse as there is such a lovely mixture of prints and patterns as well more simple pieces.